These parallel movements influenced Smith's quest to rediscover and restore ancient and undefiled truth. These parallel movements were discussed in the public square and described in newspapers in the region. Many of the same preachers who lectured about the fundamentals of Christianity also took positions in the debate concerning the origins of Freemasonry and whether it was also a fallen institution. Smith eventually rejected all existing religions and restored a primitive church that was based on a primitive model. After organizing the Church of Christ he began to introduce other innovations that had Masonic connections. The aspects of Masonry that dove-tailed with his restoration imperative were premised on Masonic legends that traced the origins of Freemasonry to Adam and Eve and taught that primitive Masonry, like pure religion, had occasionally become degraded through schism and apostasies until it was restored and a ritual introduced Solomon's Temple. By the time Joseph Smith began developing his thinking about the essential elements of primitive Christianity the thesis that Freemasonry was an appendage of Christianity was well developed. But Masonry's rapid expansion in post-Revolutionary America, and the attempts by some Masons to Christianize it, created severe tensions within the Craft. Although the Mormon "prophet" was certainly aware of these and later anti-Masonic sources, his goals were much different from those who advocated the destruction of the Craft. While Mormon historians have emphasized Smith's restoration of the primitive church as the centerpiece of church history they have underestimated the importance of his restoration of primitive Freemasonry that was more gradual and nuanced and spanned the entire length of his tenure as church leader. 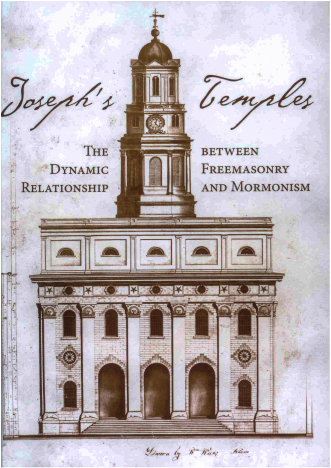 Joseph's Temples was inspired by the book of the same title by historian Michael W. Homer. More than six hours in length, the documentary has five episodes that explore the dynamic relationship between Freemasonry and Mormonism through historical foundation, personal narratives, and images. The film makes use of thousand of archival photographs, paintings, and newspaper images. The film combines images with modern cinematography, music and narration by the book's author Michael W. Homer, antidotes and insights from authors and historians and actors reading contemporary quotes from historical figures.